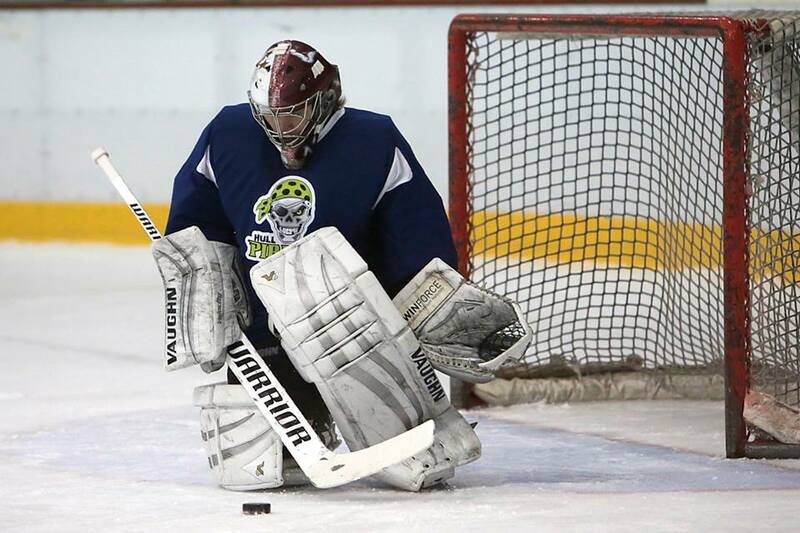 It was a great weekend for three teams in the NIHL set up as three of the four titles up for grabs were clinched. With Division 1 North and South both moving into their play-offs next week, regular season issues had to be resolved and both titles races moved into the final weekend. 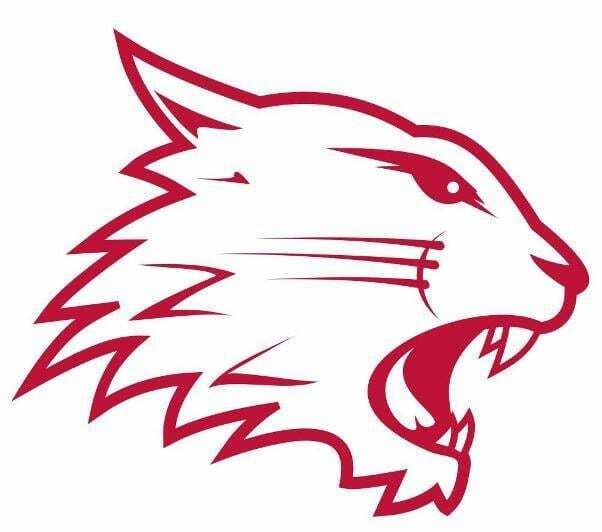 In the South, Swindon Wildcats passed up the chance to take the Division crown last week as they suffered defeat to Streathem so coach Aaron Nell was confident of getting the job this time around. Bracknell Bees came to town on Saturday, a team the Wildcats had lost to in four of their previous five meetings, but with that league trophy a very attractive carrot, Swindon did indeed get themselves over the line. Nell led by example with two goals, one either side of the first break with Tyler VanKleef picking one up himself. Toms Rutkis and Sam Jones put Wildcats 4-1 by the half hour mark and although VanKleef got his second, it turned into a party night for Swindon as their title was confirmed. Wildcats finished their regular season off with a final win, edging past MK Thunder in a 6-5 success, as Nell picked another goal and two assists to cap off a fantastic weekend. Hull Pirates were top of the table going into the weekend and ended it that way, overcoming their two big title rivals to secure the Division 1 North (Moralee) title. Jason Hewitt’s men were at home to face Telford Tigers, the team in third, who along with Sheffield Steeldogs were all tied on 62 points going into a high intensity weekend. A 6-3 result eliminated the Tigers’ hopes of taking the title, despite them being 2-1 up by the end of the first period. Pirates kicked on and Matt Davies added to Lee Bonner’s earlier goal, with Sonny Karlsson adding a third that had the game at 3-3 after two periods. Hull moved up a gear in the third and took the points in a 6-3 win, with James Archer, Hewitt and Bobby Chamberlain. Sheffield Steeldogs put themselves in the frame with an 8-3 result in Dumfries against Solway Sharks as a three-horse race became two. Cameron Brownley’s hat-trick and two each from Duncan Speirs and Ashley Calvert along with one from Charles Thompson secured a big win for Ben Morgan’s men. The title race would then come down to a decider in Sheffield when the Steeldogs faced Hull for the championship – a winner takes all battle where the Pirates dug in to take the glory. A 75-second spell in the first period set the tone with four goals flying in during that short spell. Jamie Chilcott and Lubomir Korhon netted for Hull, with Andrew Hirst responding for Steeldogs. But Chamberlain made it 3-1, before Calvert cut the gap to one as the teams returned to the locker rooms after a breathless opening stanza. Two early goals in the opening minutes of the second, coming from Chamberlain to complete his hat-trick appeared to be Steeldogs’ undoing although Calvert’s second seemed to give them a glimmer of hope. 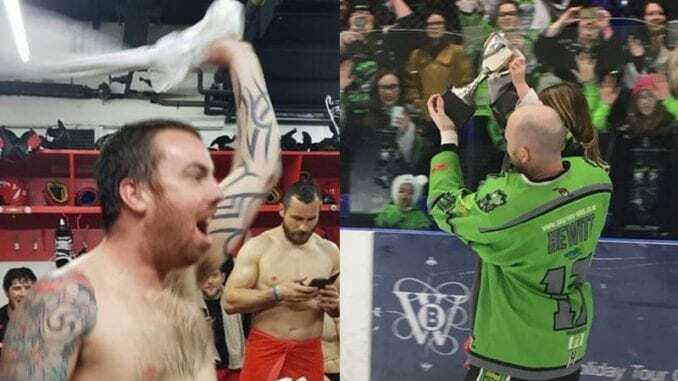 Pirates saw the finish line and goals from Korhon, his second and individual strikes from Karlsson and Bonner kicked off the party, with Hull crowned champions in the North. Not to be outdone, Widnes Wild confirmed they were champions of Division 2 North (Laidler) as they overcame Altrincham Aces with a 4-1 home win on Sunday. Aces struck first as Bradley Chapman scored after 41 seconds to give the home fans something of a fright as the visitors got off to the perfect start. By the end of the first, Wild were level through Michal Novak, but they pulled ahead in the second period as Chris Gee and a powerplay goal from Michael Gilbert gave them a two-goal cushion. Novak’s second made sure of the points, the result and the championship as Widnes became the latest team to go Wild on a night of title successes around the NIHL. Highlights from the EPL game between Swindon Wildcats and Hull Pirates on Saturday, 15th October. Highlights from the EPL game between Swindon Wildcats and Hull Pirates on Saturday, 11th March.